The Nigeria Immigration Service (NIS) has arrested four Ghanaians at the Murtala Muhammed International Airport (MMIA), Lagos, for attempting to use the airport for human trafficking. The latest arrest comes barely two weeks after the NIS apprehended eight Ghanaians for the same offence at the Lagos international airport. The four Ghanaians apprehended were between 22 and 25 years of age. They were on their way to Europe for prostitution, according to Immigration sources. “Just like the previous eight Ghanaians arrested, the four had entered Nigeria by road from Togo and Benin Republic, while they also planned to travel out of Nigeria through Egypt Air before they were stopped for interrogation. When found to be engaged in human trafficking, they were apprehended by the immigration officials at the MMIA Lagos. “The four who were with Ghanaian international passports in their statements confessed to the crime, saying that they had attempted to use Nigeria as a transit point to connect Europe,” the source said. 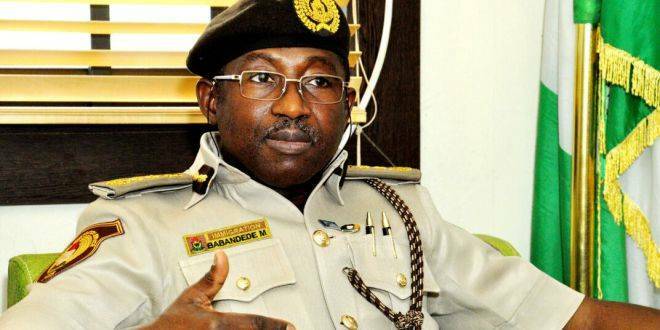 He said that the four ladies were handed over to officials of the National Agency for the Prohibition of Trafficking In Persons (NAPTIP) for possible deportation back to their country.